← Is it OK to sleep on a mattress on the floor? 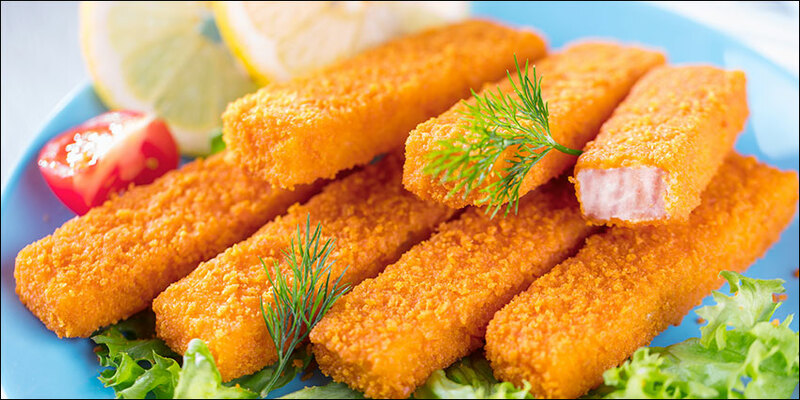 Next time you see a fish finger, spare a thought for the 20% of young Brits who seriously believe they are made from the fingers of fish. I’m not kidding. A survey conducted by Rowse Honey in 2015 revealed this and other worrying discoveries such as that one in four people in the 16 to 24 age group don’t know if it is bees or wasps that make honey, and one in eight think that the insect has to be squeezed to get the honey out of it. There’s more. One in seven believe that potatoes grow on trees and have no idea that lamb comes from sheep or pork comes from pigs. And one in three have never made the connection between veal and cows. The general belief is that meat comes from supermarkets and that’s all there is to it. This is right up there with the 2015 survey of three thousand people in the US, UK and Australia that showed that 14% thought cloud computing referred to an actual cloud in the sky so would be affected by stormy weather, and a further 33% thought it might be. It’s staggering to think that so many people hold such erroneous beliefs. But here’s the thing. What beliefs do you hold that you’re pretty sure are right but actually may not be? The problem we all face is that we don’t know what it is that we don’t know. We are ignorant of our own ignorance. This is known as the Dunning-Kruger Effect, named after psychologists David Dunning and Justin Kruger, who were awarded an Ig Noble Prize in 2001 for their research. Put simply, they determined that in order to know how good you are at something, you need to have developed the skills to be good at it. This means that if you’re actually no good at something then you lack exactly the skills you need to have in order to know that. This explains, among other things, why people who lack good grammar are blissfully unaware of it and why many bad drivers believe they are good drivers. They lack the skills to know the difference. One misconception that I frequently come across is people who believe that energy worlds don’t exist because they can’t see them. But, as someone who has made it my life’s work to develop the subtle body structures to be able to cognize the energy worlds as tangibly as physical ones, I can see that they lack the skills to know for sure whether energy worlds exist or not. The only way they can know this is to develop the skills to be able to see and feel energies for themselves, but of course they don’t want to have to do that. They want me to prove it to them without any effort on their part, which is like asking me to prove that love is real to someone who has somehow gone through life without ever feeling it. Another frequent misconception is when someone firmly believes that a person’s intention is enough to space clear energies rather than the skills they have or the equipment they use. Nothing I can say or do will convince such people otherwise because they lack the ability to read the energy of a space before and after the clearing. If they were able to do this, they would know that nothing had changed. To be fair, in most cases, this mistaken belief seems to be the result of something a person has read in a book or been taught by a teacher. But still the fact remains that they don’t know what they don’t know. And of course, I must consider that I, too, am ignorant of what I don’t know. It’s conceivable I may one day discover entire new levels I was previously unaware of. The human condition is such that we only ever know a narrow segment of the truth. But the difference is that I actively seek out high calibre people who have the skills to observe my work and give me feedback about its effectiveness. These people are admittedly hard to find, but they do exist and I always welcome their input. If I were entrenched in my beliefs, I would not seek them out or listen to what they have to say. What I’m hoping you will take from this article is that intention is good, but it’s not enough. And where space clearing is concerned, it’s certainly not a substitute for perception and skill. Two people may have exactly the same intention but there will be a huge difference in the results they are able to obtain, depending on their ability to read energies and how skilled they are at clearing them. Oh, and if you ever meet someone who sincerely believes that fish have fingers, please show them a fish and point out its fins! This entry was posted in Space clearing myths. Bookmark the permalink.